On the 20 th of October the competition and discussion on the theme “Do doctors deserve the right to wear white?” was held. 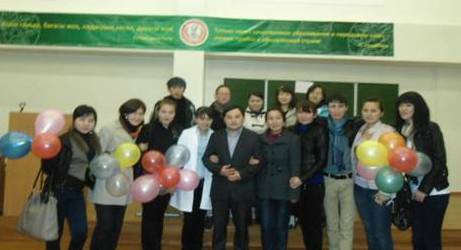 It was devoted to the fifth anniversary of General Medicine’s faculty. This discussion was organized by the teacher of economy M.A. Khalynov. The topics of discussion were: deontology of modern doctors, the fact that the quality of doctors is more important than the quantity. Students were eager to share their thoughts and ideas, showed remarkable interest.